Laundry: Its my most hated chore. Lately, I have found myself covered in mounds of clothes and linens and can never seem to find the bottom. 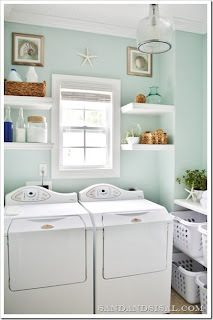 I have been dreaming up some fabulous laundry organization tools to make the process run a bit easier. Its been quite a challenge! Here are some fabulous ideas I have found. Now its just finding the time and money to get them implemented! 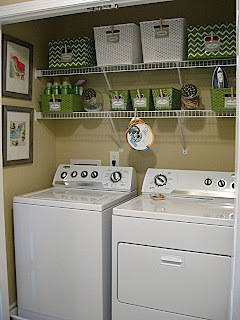 Love the baskets and different sized containers over the washer and dryer. I NEED a pair of front loaders. My laundry room is so small and this would be the perfect answer to storage issues. And I can't tell you how much I love the idea of having a basket for each family member. My laundry currently gets folded on the couch or my bed and it drives me CRAZY! What good organizing ideas do you have for the laundry? I hate laundry too! 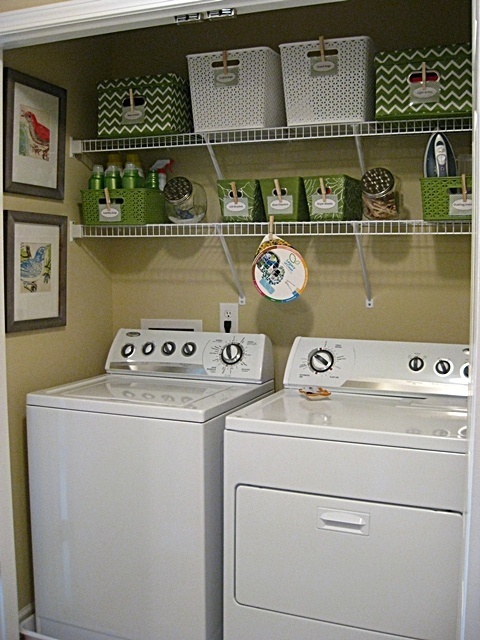 I redid my laundry area which is in my garage recently and it's helped. 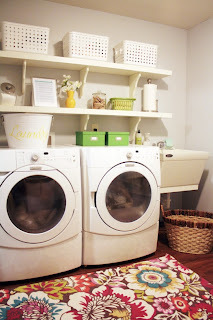 I still am not loving laundry..BUT having it organized, and a new 3 area sorter is helping! I actually love to do laundry. I know, weird. It's soothing to me, though! 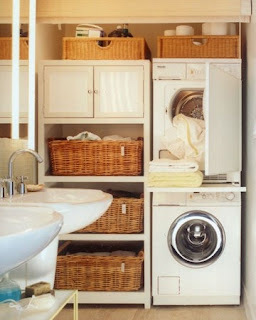 I do have a basket for each family member, and one for kitchen/bathroom laundry. I sort the clothes into baskets as they get dirty, so there's less sorting time when I have to wash them! I really need to reorganize my laundry room. I love those pictures you posted!